At the Battle of the Clouds, rain won the day! With leading cloud storage providers like DropBox, Google Drive, OneDrive for Business, Box, etc. trying to win the consumer and enterprise cloud storage war, it’s us, the consumers, who are winning the battle (at least for now!). The stiff competition between cloud storage companies is fueling the cloud user growth around the world. Most leading cloud storage providers these days are offering perks like attractive pricing and exciting new features to get a strong hold of the market. As you may know, Microsoft has been offering one such perk to customers around the world to lure them away from its competitors. Google has been updating the Drive and G Suite with a new AI technology that makes file search a breeze. DropBox has been introducing new features now and then to keep up its supremacy in the domain. If you observe the cloud market closely, you will agree that DropBox is going to face some very tough competition from Google as well as Microsoft in the very near future, considering the two tech giants’ strong technical background in the areas of machine learning and artificial intelligence. A lot of people around the world have already begun exploring ways to transfer their DropBox data to other cloud storage services. If you are one of them trying to migrate or transfer users, files, or data from DropBox to Google Drive, carefully read through this article to learn how to do that easily, quickly, and securely with CloudFuze. Before we get to the actual subject, let’s spend a minute to know more about CloudFuze and how it can help individuals as well as enterprises access files from multiple cloud storages, move them, share them, and do much more – all from a single platform! CloudFuze is an online cloud aggregator that lets its users quickly connect to over 40 cloud storage accounts from a single screen and with a single login. Whether you need to move your data between clouds or a unified access that allows you to manage multiple clouds, CloudFuze lets you do that swiftly and effectively. CloudFuze also assists enterprises in moving their complex and sensitive data from one cloud to another. 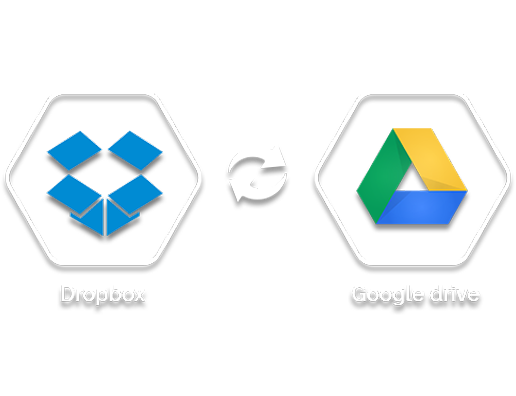 Why Use CloudFuze to Migrate Your Files from DropBox to Google Drive? As you may know, anyone can migrate from DropBox to Google for free. It’s no secret because an individual or an enterprise can download everything from one cloud and then upload it to their new cloud. However, the procedure is definitely a primitive approach to cloud transfer. Not only does it consume a lot of bandwidth and time but poses a serious risk to sensitive data. ACloudFuze, on the other hand, lets you migrate to Google Drive from DropBox without needing to download data to a physical drive, offering you total peace of mind. How to Transfer Files from DropBox to Google Drive with CloudFuze? Firstly, you need to create a CloudFuze account to access the CloudFuze’s cloud file transfer web app. You may choose one of the CloudFuze’s competitive price plans to get started. Alternatively, you may sign up for the free trial to test the service. If you are planning to move your enterprise data from DropBox to Google Drive, we recommend that you get in touch with us for a smooth and hassle-free data migration. Now, let’s check how to move files from DropBox to Google Drive. Step 1: Login to CloudFuze.com Account . Enter your login credentials to access the CloudFuze app. Step 2: Click on the “Clouds” icon on the Left . Upon clicking on the Clouds, you will be redirected to the clouds page where you can find 40+ consumer and enterprise clouds listed. Choose your preferred cloud there by clicking on the cloud’s icon. Now, enter the details requested such your clouds login details, auth codes, access keys, etc. (this varies cloud to cloud) to authorize CloudFuze access your data. Step 3: Click on the “Migrate” Icon in the Left Navigation Menu . Upon clicking on the Migrate button, you will be redirected to the Migrate section of the CloudFuze app where you can transfer files from one cloud to another. As seen in the picture, the page displays a list of 40+ clouds that CloudFuze currently supports. You can also see how the page is sectioned into two categories with “Source Cloud” on the left and “Destination” cloud on the right. Select a file or multiple files in DropBox (Source Cloud) that you want to transfer to your Google Drive (Destination Cloud) and click on the Migrate button that you can see on the top of the page. That’s it! Your DropBox files will be transferred to your Google Drive. The duration of the transfer depends upon the size of the data you are planning to move. We hope the tutorial helped you!